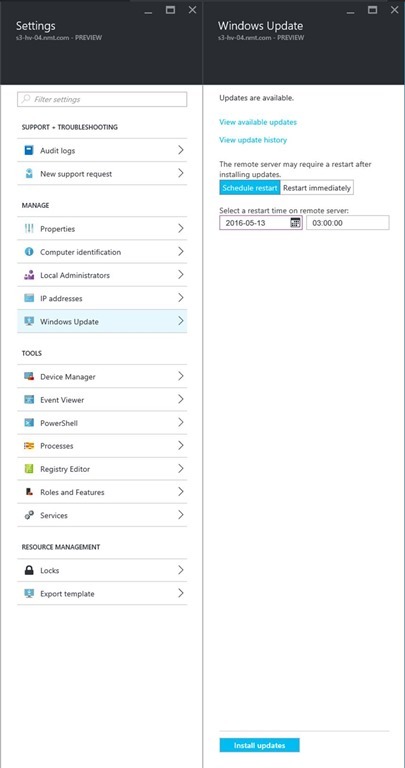 Let’s have a look at the new patch management process using Server Management Tools. 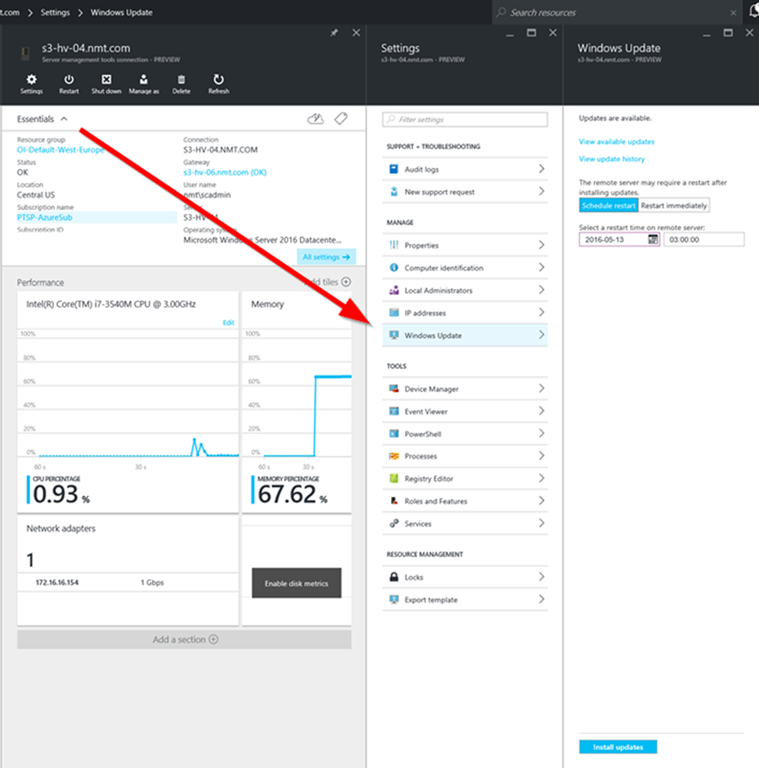 The first step is to go ahead and login to Azure Server Management Tools. And then select a server which needs to be patched using Windows Updates. 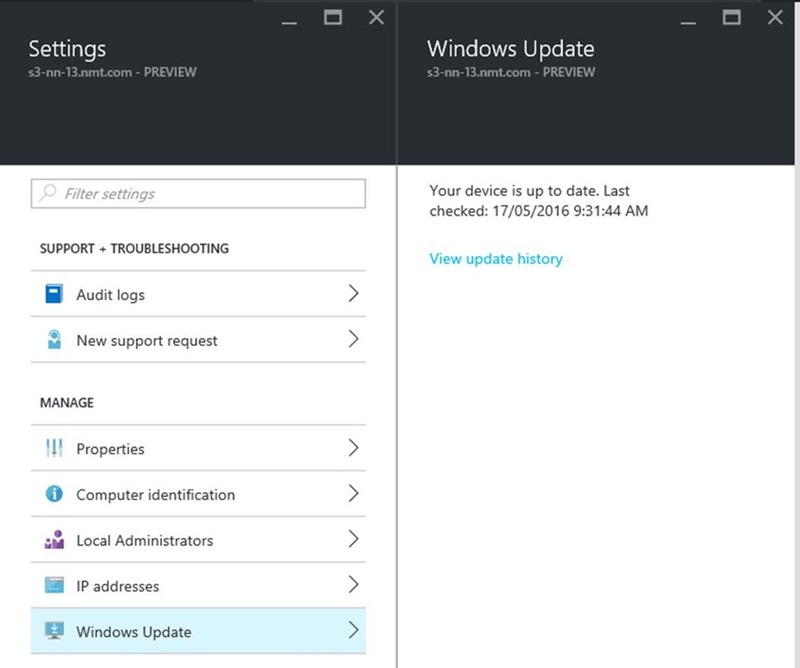 You will notice that under settings, we now have a new functionally called “Windows Updates”. 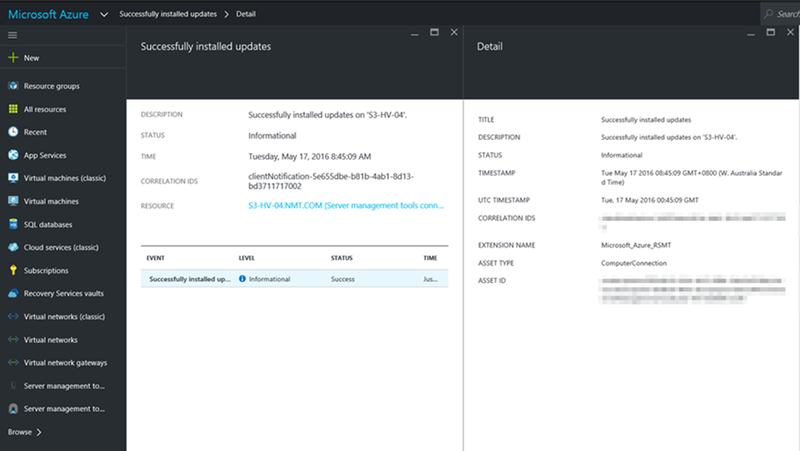 As the name implies, if you select View available updates, it will trigger Windows Update client agent on the Server, and it will show information relating to any missing updates. As you can see from my example below, we can see that there are Updates available. After selecting Available Updates. You will be able to see all the updates which are applicable for the server and then you can click on Install Updates to install them on the server. Soon you will see a notification pop-up saying that the updates are being downloaded and installed on the Server. 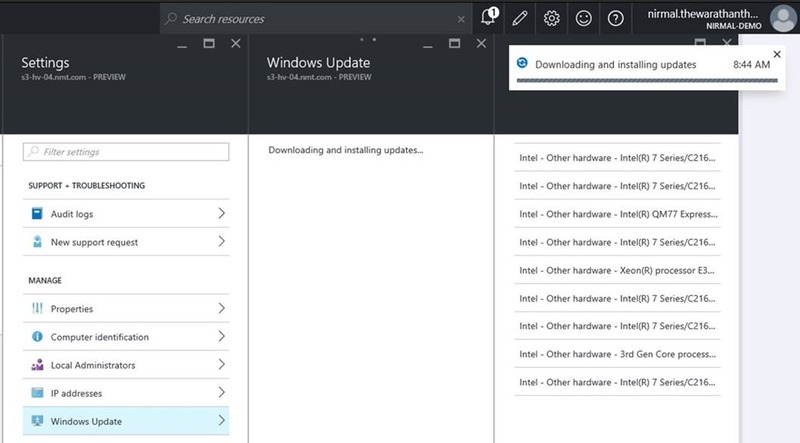 It should take several minutes, depending on how many updates needs to be downloaded and deployed. 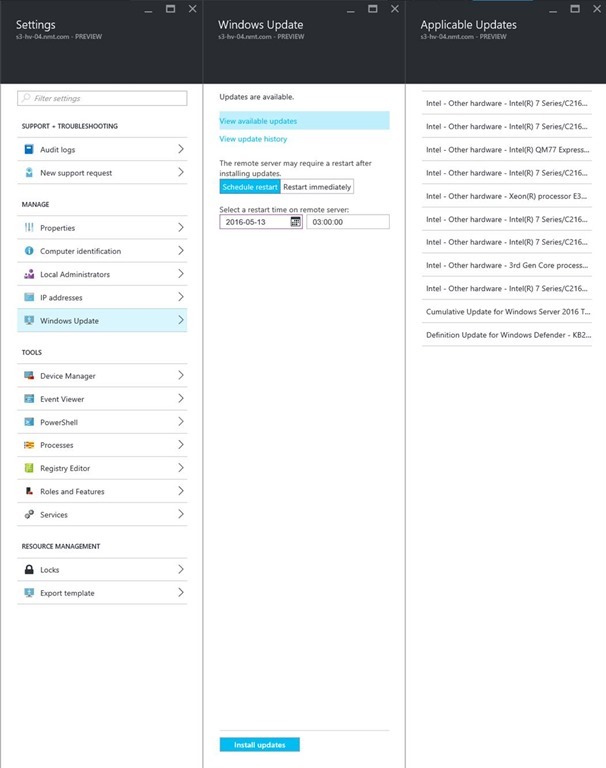 We could also use View update history option to see all the updates which were deployed part of the patch deployment process using Azure Server management tools. 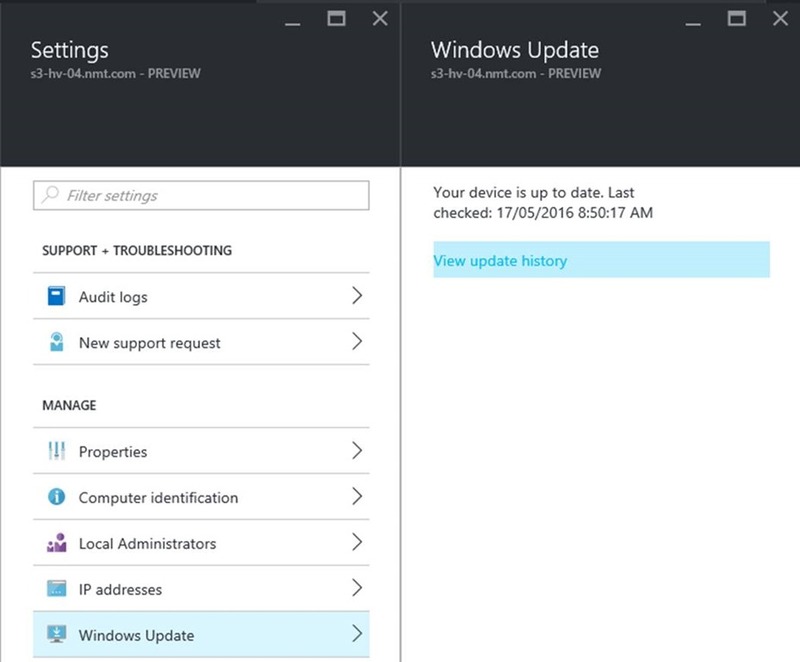 If we trigger Windows Update scan once again, it will show that the device is up to date and doesn’t require any further updates. More information, please have a look at the blog post below.